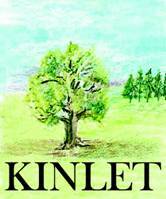 Kinlet Parish Council | Kinlet Parish Council website, Shropshire , England. Its three main hamlets are Kinlet Village, Button Bridge and Button Oak and properties vary from farms to large country houses to smaller houses and cottages, together with a small amount of affordable housing and old people’s bungalows. On the edge of the parish is a residential home park. The Village School and Parish Hall are situated in Kinlet Village together with a residential home and a Public House. Kinlet Hall – which is now a school – is a Grade 1 listed building set in grounds of over 100 acres and was once the seat of the Blount family who came to England with William the Conqueror. Button Bridge is a residential area, whilst Button Oak with varied types of properties is mainly set on either side of the B.4194 road. Facilities include a church and public house. The Parish Council, which comprises 9 councillors, meets monthly on the second Monday of each month in the Parish Hall – all meetings commence at 7.30 p.m. with 15 minutes Parishioners participation time when any parishioner is welcome to come along and discuss any matter of concern or interest with councillors. For current members please refer to Councillors section. The clerk can be emailed directly via the ‘Contact Us’ button above. There is a useful item on ‘Presenting an Idea or Issue to the Parish Council’ in the Other Business section.